2 Bedroom Upper Floor Flat For Sale in Glasgow for Offers Over £105,000. 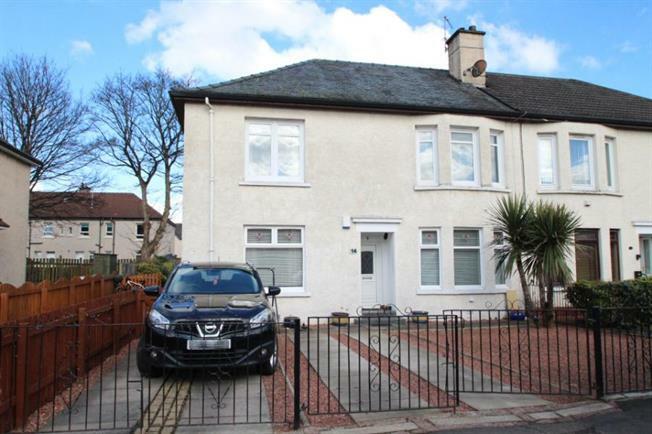 Set within Knightswood location this two bedrooms upper cottage property with driveway. The accommodation comprises reception hallway with built in storage cupboard and access to loft storage. The lounge is front facing with access to the kitchen . There are two double sized bedrooms and a modern fitted bathroom with a white three piece suite, electric shower. The kitchen has wall and floor units with oven and hob. This cottage flat is double glazed with gas central heating. Outside the property, there are generously sized garden grounds which are mainly laid to lawn with driveway. A major feature is the location. The property is conveniently close to a selection of shops on both Archerhill Road and Alderman Road closeby. Anniesland Cross together with a further selection of shops, bars and restaurants located nearby at Great Western Road and Byres Road. The property is also ideally placed for easy access to Glasgow City Centre, the Clyde Tunnel, the Clydeside Expressway and the M8 motorway network.